The Distance Learning phenomena and principle is what all stakeholders.. The Distance Learning phenomena and principle is what all stakeholders including parents, guardians, and students alike must master, to ensure that they get the most out of the Diploma in Basic Education programme offered by Jackson College of Education. Parents and guardians must note that Jackson Educational Complex, in its bid to achieve its vision and mission coupled with its core values, upholds high levels of discipline, and this is expected to groom our students into a good human resource through excellent educational tutelage, leadership skills and more. The College Council is the highest decision-making body, however, to maintain efficiency and not compromise on quality, a semi-decentralization system is practised in the JEC Distance Learning programme. The over 30 learning centres spread across the country are semi-decentralized with supervisors overseeing the day-to-day activities. They work under the supervision of coordinators and in collaboration with centre partners (who are office staff that engage them on correspondence level). This is to ensure that in as much as the centres are decentralized, the head office is involved in the running of the centres. The supervisors are the ones on the ground and represent management at the grass root level, hence are the first point of contact for the parents and guardians and must, therefore, be accorded all the necessary courtesies. All student issues must be addressed by them first, if need be, the coordinators can also be consulted. In very rare cases where neither can address the issue must it be brought to the head office. Other than that, all concerns that need to be addressed by a higher authority such as the management must be channelled through the centre supervisors. 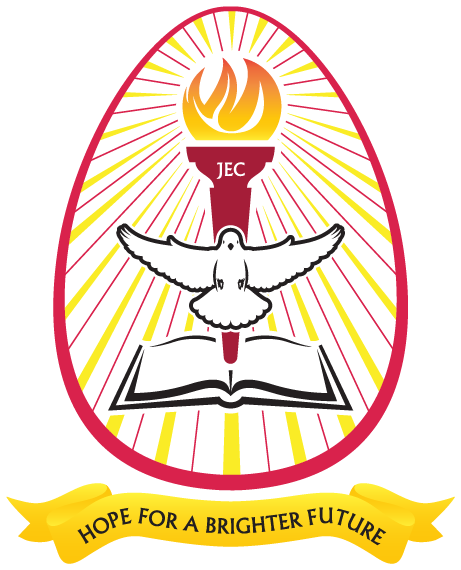 Parents and guardians are advised to use only the JEC prescribed channels of paying fees and other financial commitments. JEC will not be liable for any mishap associated with payments not done through the JEC prescribed channels. With the utilisation of technology, tuition fees and monies relating to requests for attestation/introductory letter, transcript, graduation fees, JEC paraphernalia, etc. can be paid stress-free through the School Fees Payment System at Cal Bank and Transflow at Ecobank, ADB, GCB Bank or Republic Bank only. With all these avenues in place, students who fail to pay their fees in full will not have their semester academic results released to them. Parents who would like to have their child’s academic records and the implications/interpretation of their grades should kindly place a request at academics@jackson.edu.gh, providing the necessary details. Students can access the Student’s Loan Trust Fund (SLTF), enrol for National Service and have the chance to be employed as a professional teacher. The Diploma certificate awarded can be used to gain employment at GES or to do further studies for a degree with any university in the world. The Diploma Certificate can also be used to gain promotion in one’s establishment or workplace. Students can be gainfully employed even as they study, as lectures are held on weekends only. Be proud to have your child in an institution that has become both a locally and internationally recognized brand. 2017 – World Confederation of Businesses (WORLDCOB) – USA; Business Excellence Award, THE BIZZ 2017. 2017 – Micjoy Advertising and the Academic Diary Newspaper 2017 African Quality Award for providing excellent distance learning education in Ghana. 2016 – World Business Assembly (WBA) Golden European Award for Quality and Business Prestige. 2015 – World Confederation of Businesses (WORLDCOB) – USA; Business Excellence Award, THE BIZZ 2015. 2015 – Oxford Academic Union membership and Europe Business Assembly; Best Enterprise Award in Educational Sphere in Ghana, Switzerland. 2015 – Business Initiative Directions (BID); International Arch of Europe Award (Gold Category); Best in Quality, Innovation and Technology, Germany. 2014 – 5th annual Micjoy Educational Excellence Award; Most influential private College of Education in Ghana. College reopens on Saturday, 9th February 2019. Resit Examination for the 2nd semester of the 2017/2018 academic year comes off 2nd and 3rd February 2019. Mid-Semester Examination for the 1st semester of 2018/2019 academic year is slated for Saturday, 6th and Sunday, 7th April 2019. Keep these dates at your fingertips so you do not miss out on any of them.